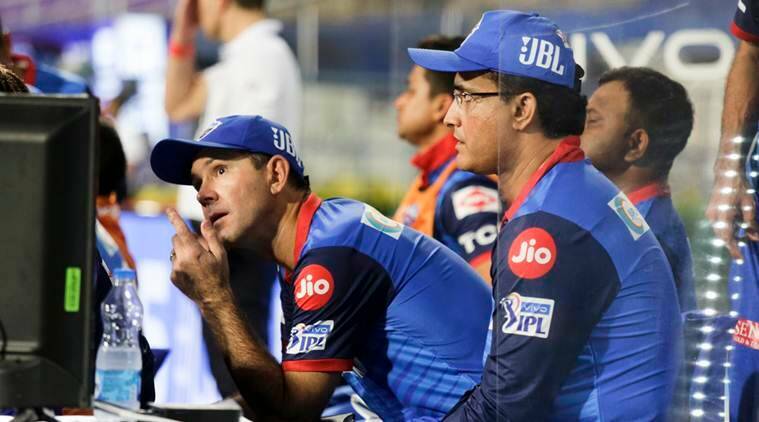 Unperturbed by the debate around conflict of interest, Delhi Capitals advisor Sourav Ganguly on Friday sat in the ‘visitors’ dugout for their IPL match against hosts Kolkata Knight Riders. Ganguly, who was seen in full flow, conducting training sessions as Delhi Capitals advisor, sat in the dugout during the IPL match at the Eden Gardens. The former India captain had earlier clarified his stand on “conflict of interest” in his dual role as IPL franchise Delhi Capitals advisor while serving as the president of Cricket Association of Bengal. The BCCI ombudsman and ethics officer DK Jain had asked Ganguly to clear his stand on allegations of conflict of interest for his dual role as alleged by three cricket fans. “I don’t know. I’ve not thought about it. I’m happy to be a part of Delhi Capitals and hopefully we can play well. I really never thought about it,” Ganguly told the official TV channel. Earlier he had a close look a the ‘green’ 22 yards and gave fielding and catching practice to the Delhi players. With him at the helm of Delhi Capitals franchise, few of his detractors had claimed that he would have ‘a say’ in pitch preparation. Three Kolkata based fans — Bhaswati Santua, Ranjit Seal and Abhijeet Mukherjee — in a letter to BCCI Ombudsman had alleged that Ganguly’s dual role is a case of conflict of interest. However, Ganguly, in his written reply to the Ombudsman’s notice, has categorically denied the charge and was subsequently allowed to sit in the dugout.